SpaceLaunchNews.com has learned that NASA will announce an extra space shuttle flight to be added late this fall or early-2011, according to a source at the Johnson Space Center near Houston. The much anticipated announcement could come in the coming weeks or sooner. The mission would fly following the September 16th launch of Discovery on mission STS-133 -- a resupply flight to the International Space Station. 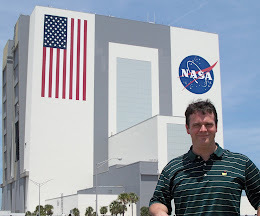 To support Discovery in case the orbiter is damaged en route to orbit, NASA's Kennedy Space Center will have a rescue space shuttle stack awaiting in the high bay of the Vehicle Assembly Building. Known internally at NASA as rescue mission STS-335, the shuttle would roll out to launch pad 39-A and launch during the second week of October. Discovery, meanwhile, would stay docked to the space station as her crew lives aboard the orbital outpost. 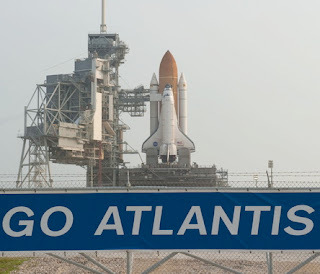 The specific space shuttle for the STS-335 flight would likely be Atlantis. If Discovery returns home following a successful mission, then the STS-335 stack would then become known as the STS-135 flow. The newly manifested STS-135 mission would likely take place in mid-November or early February 2011. Currently, there are only four more shuttle flights planned thru September before the program concludes. Following the Obama administration's cancellation of the follow-up to the space shuttle program -- know as Constellation -- many NASA centers would love to see the fisical year 2011 budget include an extra shuttle flight or two. If STS-135 does fly and the orbiter is damaged during ascent, NASA would then put into standby mode two Russian Soyuz TMA capsules already located on the space station which would then ferry the STS-135's four astronauts, and two space station cosmonauts back to earth. A typical crew trains for nearly one year for their flight, and February is quickly nearing March. STS-135 would be used to ferry large equipment and supplies to the space station, and return used experiments and garbage back home. Items which would be too much for a Soyuz or unmanned cargo craft. An earlier version stated that NASA insiders also talking about adding even more Shuttle flights - this is NOT going to happen. All ET's are built and the one proposed for STS-135 was the last on the production line before it was closed. It currently serves as a "hot spare" in the event a rescue is needed on short notice for an on-orbit vehicle in distress. As stated, if STS-135 needs its own rescue, then Soyuz capsules on the station would be used. If STS-135 becomes a flight I heard that only a crew of 4 will fly on the shuttle. ET 139 and 140 were partially built, and MAF can complete them if requested. Also ET-94 can be brought back from storage. copyright 1998 - 2010 Charles Atkeison, SpaceLaunchNews.com. All rights reserved.